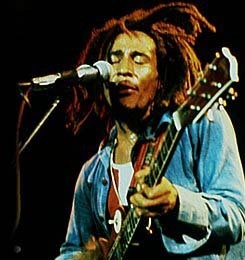 Robert "Bob" Nesta Marley (February 6, 1945 – May 11, 1981) was a Jamaican singer-songwriter and musician. He was the lead singer, songwriter and guitarist for the ska, rocksteady and reggae bands The Wailers (1964 – 1974) and Bob Marley & the Wailers (1974 – 1981). Marley remains the most widely known and revered performer of reggae music, and is credited for helping spread both Jamaican music and the Rastafari movement, (of which he was a committed member), to a worldwide audience. 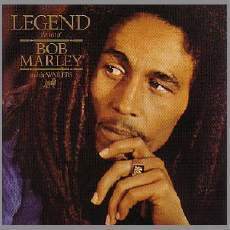 Bob Marley was born in the small village of Nine Mile in Saint Ann Parish, Jamaica as Nesta Robert Marley. A Jamaican passport official would later swap his first and middle names. His father Norval Sinclair Marley was a white English Jamaican. Norval was a captain in the Royal Marines, as well as a plantation overseer, when he married Cedella Booker, an Afro-Jamaican then eighteen years old. Norval provided financial support for his wife and child, but seldom saw them, as he was often away on trips. In 1955, when Marley was 10 years old, his father died of a heart attack at age 60.